There are people who think Ferdinand Catabian has already reached the peak of his triathlon career and is no longer a competitor to reckon with. 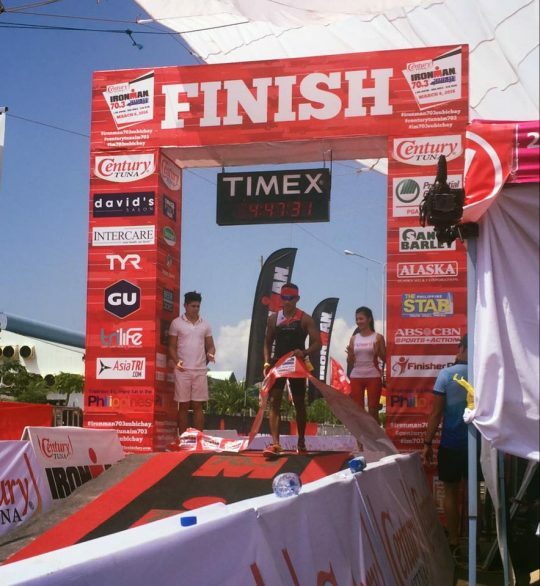 After all, he placed 3rd in the Elite category of the 2009 Ironman 70.3 in Cam Sur; qualified for Ironman World Championships in Kona, Hawaii in 2011; was the fastest Filipino age grouper during the 2013 Ironman 70.3 in Cebu; and has raced in two more 70.3s in Australia during that same year. Then he suddenly disappeared from the sport. “I wanted to try other things,” he explained. He no longer has his A-game, right? Sorry to disappoint you guys, but he’s not done yet. After a two-year hiatus, Ferds is back. Proving unbelievers wrong, he emerged the third fastest Filipino during the 2016 Century Tuna 70.3 and was the fastest Filipino during the 2016 Regent 5150. 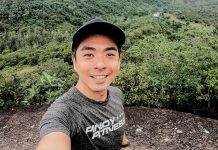 He’s now training for the upcoming Ironman Asia Pacific Championships 70.3 race in Cebu. Yes, he’s definitely back. 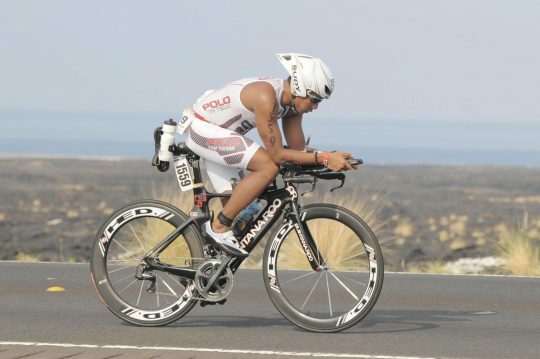 And he’s aiming be the fastest Filipino age grouper once again. 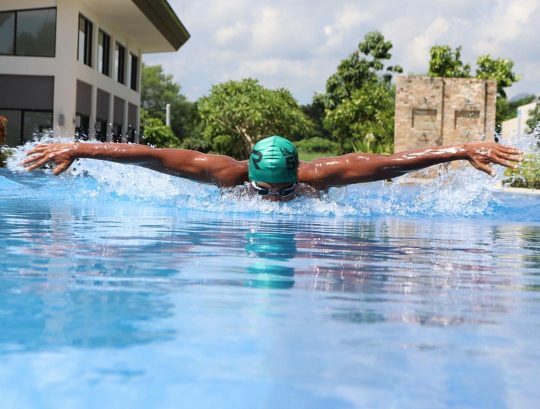 A varsity swimmer during his grade school and high school years at Xavier School and a former member of the Philippine National Swimming Team, Ferds stopped doing sports all together after college, which led him to gain a lot of weight. “I was as big as a bouncer,” he recalls. Looking for an activity that he and his fiancé Karen could do together, the couple got themselves bikes in 2007. A friend eventually invited him to join a NAGT race in Ayala Alabang and it was there that he got hooked. Apart from SBR training 7 days a week, Ferds credits CrossFit for his excellent performance during races. A Level 2 Certified coach, he says the workout helped him get into the best shape of his life. What CrossFit does, Ferds says, is it strengthens core muscles, enabling them to support the upper body. Having a strong core will also boost swim and bike performance, he says. 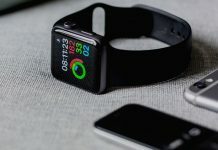 Burned out from training? 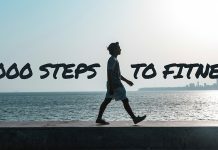 Ferds shares tips on how to get back in the groove. Have a purpose, and have fun. Don’t rush it. Success doesn’t happen overnight. 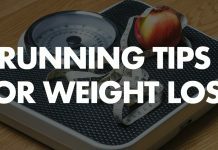 “The amount of effort you put into your training is equivalent to how much you’ll get from it,” he says. Learn to strike a balance between your training, day job, and other interests so you don’t compromise your performance in any of them. Earn the support of your loved ones. “The time you put into training is time spent away from them,” Ferdinand says. It’s important that your family understands your schedule and supports you all the way. His fiancé Karen is not the typical triathlete significant other. She studies the race course, goes with him to race briefings, tracks his performance online, and is present at every transition area to give him a head’s up on competitors behind and ahead of him so he can adjust his strategy on each leg. The teamwork has made each victory sweeter. Asked what drives him to push his limits, Ferds says he loves the feeling of winning and proving those who say he couldn’t do it wrong. “It challenges me when people think I’m not a contender anymore,” he smiles. When he has to dig deep, Ferds thinks of his family and all the sacrifices they have made for him. “It gives me extra energy,” he adds. But in the event that his performance does not meet expectations, he takes it all in stride. Whether you’re a newbie or a veteran, Ferds says it’s important to focus on training smart. It’s not always about the mileage. Plan your recovery and nutrition. “I treat it as a learning experience,” he says. With the Ironman 70.3 in Cebu just a few days away, will Ferds be able to use his experience to race smart, finish strong, and be on top of the game once again? We can’t wait to see what happens next. Next articleWill you join a Pokémon Go Run?